You might have noticed that you’ve received Plays from friends. Not sure what they are? Think of them like tokens for playing in an arcade: each one allows you one chance to play a Minigame level. You start off with 5 Plays. One Play is expended when you attempt a Minigame level – win or lose, the Play gets used up. After you use a Play, a timer will start. After 30 minutes, you will gain another Play. 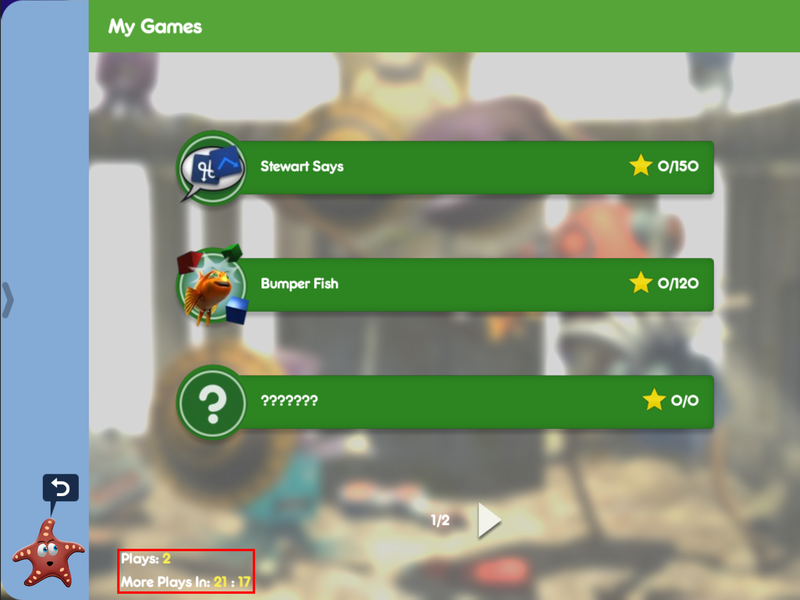 You can regain a maximum of 5 Plays – once you have 5, the timer stops. Any time you have fewer than 5 Plays, the timer will run, bringing you more chances to get those coveted 3 Superstars on those levels! Make sure to keep playing Minigames so you are always regenerating Plays. If, for a small price, you choose to purchase a pack of extra Plays, those Plays are added on top of the normal maximum of 5 Plays. Also, if you have purchased Plays along with Plays that have naturally regenerated, the regenerated ones always get used first, ensuring your purchased Plays won’t cause your timer to stop ticking down and giving you maximum value for your purchase. Warning: Any time you start a Minigame level, a Play is used up, so if you start a level and then decide to exit before finishing, that Play will still get used, so be careful!